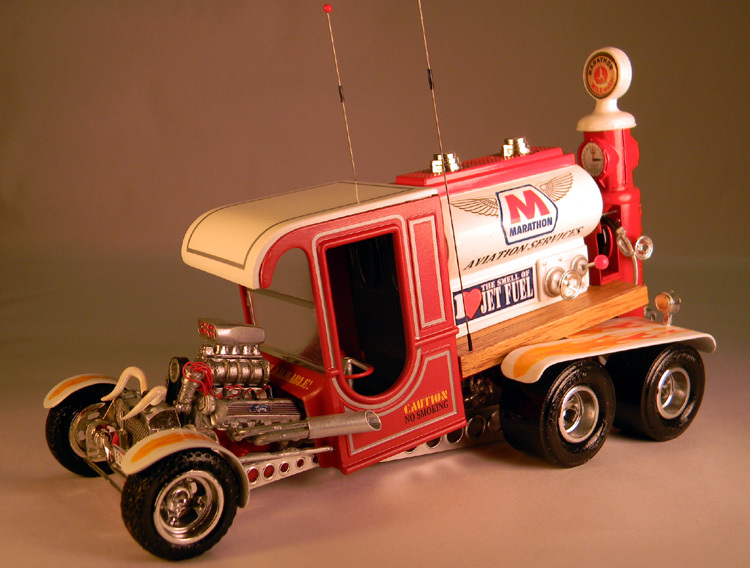 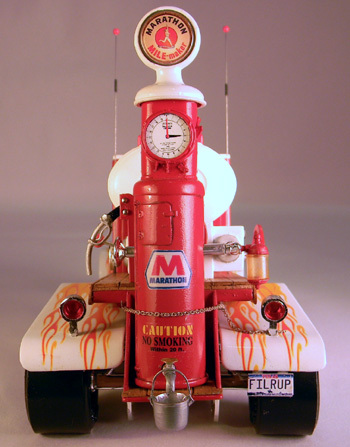 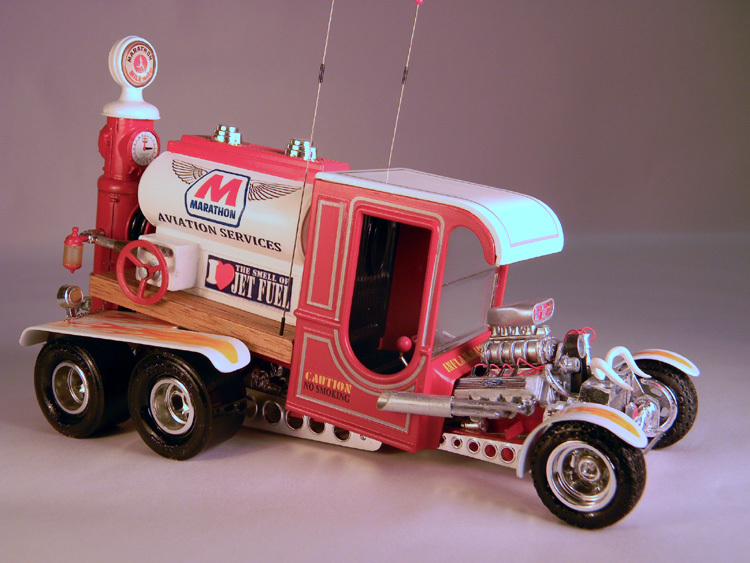 The second (of a trio of Marathon themed builds) is a Li’l Gasser that I modified as an aircraft refuelling truck. 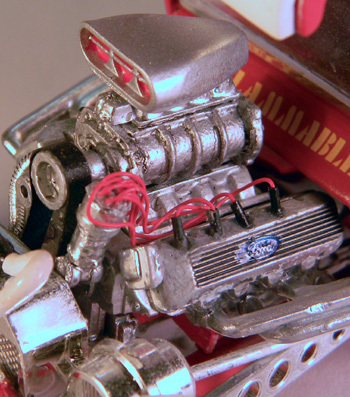 I used a resin intake with the stock engine while modifying the headers with aluminium tubing and added the bull horns from the Tijuana Taxi to the radiator . 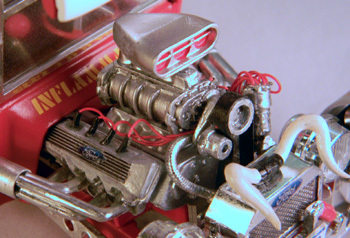 I also used a wired distributor and used thin black vinyl as the blower belt on both models. 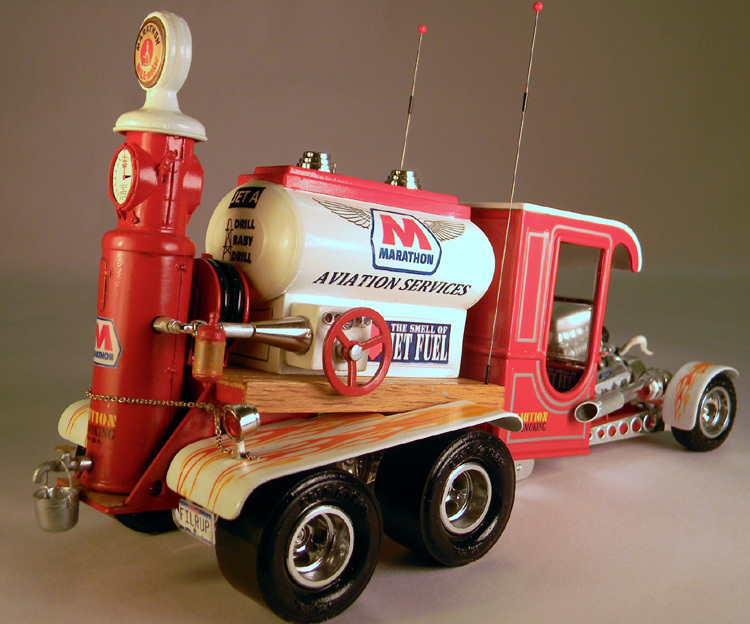 I added an old time gas pump to the rear of the truck and modified the tank by moving switches and levers from the stock positions. 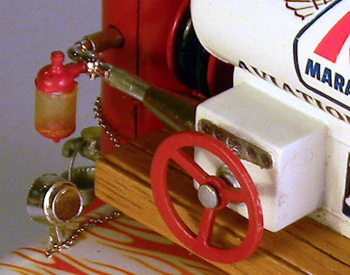 I also added 1/32 balsa under the gas tank and I scratch built a hose reel at the rear of the truck and the fenders out of thin aluminum sheeting.